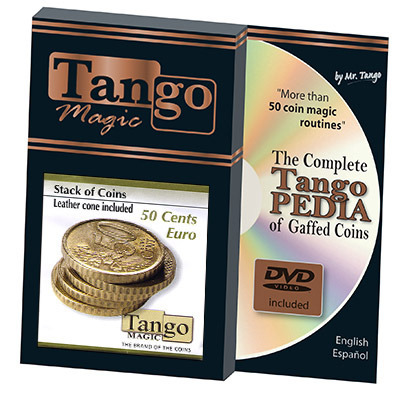 Today, when you order "Stack of Coins 50 cent Euro by Tango (E0051)", you'll instantly be emailed a Penguin Magic gift certificate. You can spend it on anything you like at Penguin, just like cash. Just complete your order as normal, and within seconds you'll get an email with your gift certificate. A stack of 50 cent Euros for your routines. 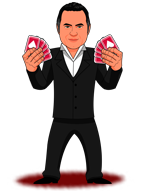 The magician can take five coins as only one coin. This is one of the more famous routines around. Includes a black leather cone case.